Clara, a Senior Manager in mid-30’s, working in a multinational organization. Clara had recently been promoted to a new position in her organization, resulting in her reporting to a new line manager. She has not been able to establish a rapport with her new line manager, resulting in a loss of confidence. Clara has a group of 10 managers reporting into her in her new role. 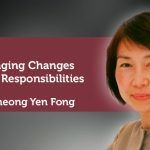 If she is not able to establish a rapport with her new line manager, her reporting team may be affected due to non-alignment between the managers. With her continued loss of confidence, Clara may become disengaged in her job, resulting in loss of performance herself. This may result in financial implications eventually. She may also seek new opportunities in other organizations to avoid dealing with her current issues. 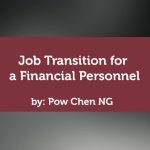 While that will resolve her current situation, there is a need to confirm the underlying issue and put together an action plan so that the situation will not resurface in her new job, if she decides eventually to move to another opportunity. As a start, Clara was presented with the coaching agreement by the coach. This was to assure her that all discussion would be confidential. Clara was also informed that no advice would be provided as part of the coaching session but that the coach will work with her as a partner on her concerns. 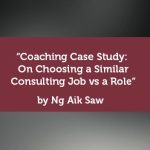 The coaching location was mutually agreed to be at a coffee place where both coach and Clara could concentrate on the coaching session, undisturbed for the 1 hr coaching session. This was to ensure coaching presence throughout the coaching session. This would also ensure a building of trust and intimacy between the coach and Clara. Clara was first requested to complete the Wheel of Life. The intention was for Clara to review all facets of her life and challenge the narrow focus on her current job situation. Clara took a while to identify her top 8 area of priorities. 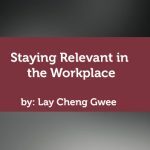 Clara realized during the process of working through the Wheel of Life, that there were much more areas of her life that were important to her and that she had allowed her focus on her current job satisfaction to overshadow the other areas. While marking out her current satisfaction versus target, she also realized that she was doing quite well in her other areas of life. The coach then reviewed the concept of gratitude with Clara. Clara noted that five items that she was grateful for. The practice of gratitude helped Clara to relook at her situation and realized that it was not an unresolvable issue. The coach then provided a list of values for Clara to review. The coach explained that it was necessary to know our own values as that is the basis by which we make our decisions. Clara picked out values that were important to her after much consideration. The coach then reviewed the completed Wheel of Life and list of values with Clara. The coach then asked Clara on her reflections at that point. Clara verbalized that her desire was to impart her value system to her two young sons, including resilience in the face of challenges. The coach then asked Clara for specific instances where she felt discouraged by her new line manager or where she felt she needed more clarification. Clara shared some feedback given to her during her recent one to one with her line manager. Her line manager felt that Clara was not managing her team to the best benefit for the organization. Clara provided some examples of how her team was delivering for the organization and shared that she could not understand why her manager gave her such feedback. The coach then interprets the cases as presented by Clara and reframes it for discussion with Clara. Through the discussion, Clara concluded that her team was not delivering for the organization as she had assumed. She started to consider how her line manager was viewing the situation and how she can be better aligned with her line manager. The coach then brainstorm and worked with Clara to define what she will do, how she will do the actions and when the actions will be taken. Clara noted that she will need to review her team’s performance and work out a plan on correcting their performance. She will then approach her line manager to discuss and agree on the action plan before implementation. This would ensure that she would be aligned to her line manager and obtain buy in for her actions to be executed. She set her timeline for three weeks in view of her other obligations. 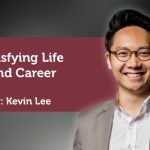 Through the coaching sessions, Clara was able to regain her confidence as she realized she was doing quite well on her various other areas of life. Practicing gratitude also made her realized that she had many things to be grateful for. 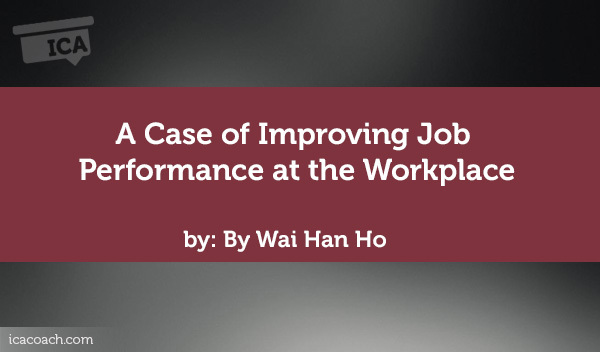 Clara was able to recognize the non-performance of her team and consider corrective actions. She was also able to formulate an action plan on how she would approach her line manager with her corrective plan. As a coach, it is sometimes tempting to provide the client with the answer to save time. However that would not yield sustainable changes as the client has not bought into the problem or solution or both. It is thus required for coach to walk client through the problem and wait for client to work their way to the solution. As every person is different, the solution may come out totally different to what the coach had initially envisioned. Coaching with this client has also made me realized that sometimes people get overwhelmed with their daily lives. We as coaches, can help people remember what is important to them by using tools like Wheel of Life or Identifying values. For while we have the capacity to improve on many things in our lives, we need to prioritize those that are truly important to us. Otherwise, what is the point?